Summer is at full steam, birds are chirping, and stir-crazy dog owners and their trusty companions are hitting the trail and basking in the glorious Colorado sun; however, they have company out there on those rocky foothills trails. The Prairie Rattlesnake (Crotalus viridus; fig. 1 left) is the only venomous snake present in Colorado’s front range (a second species, the Massasauga, Sistrurus catenatus, fig. 1 right, is found in southeastern Colorado). Fortunately for our canine and feline patients, the Prairie Rattlesnake is host to a less potent venom that rarely results in fatalities from envenomations. Most bites occur between May and September, although last year our clinic saw record early envenomations with two occurring on March 31, and we have seen cases as late as mid-November. Rattlesnake encounters are more likely in the late afternoon after the snakes have had a chance to warm up and become more active. Most dogs, as a result of their curious nature, are bitten on the muzzle or forelimbs. Of the handful of rattlesnake bites we have treated in cats, the forelimbs and face have been the areas affected. Fig. 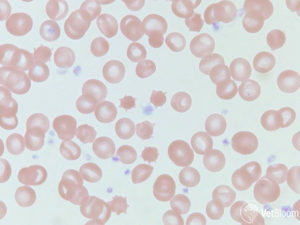 2: Peripheral blood smear from a dog that was bitten by a rattlesnake showing several highly spiculated echinocytes, also called spheroechinocytes or burr cells. 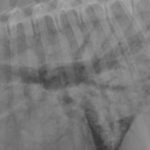 Image courtesy of Heather A. Kridel, DVM, DACVP (Clinical); Ethos Veterinary Health. Following envenomation, various proteins with enzymatic properties within the venom begin acting at the site. Hyaluronidase and collagenase work to break down connective tissues, and proteases may be responsible for coagulopathies and cellular necrosis. There are also phospholipases present that are the likely mechanism for echinocytosis and cell membrane damage that results from envenomation. The objective of these proteins (from the snake’s perspective) is to facilitate “pre-digestion” of the target. From a clinical standpoint, dogs typically present with pain, swelling, petechiation, and evidence of early tissue necrosis. Common laboratory findings include thrombocytopenia, prolonged coagulation times, and elevated blood lactate. 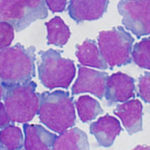 Echinocytosis (fig. 2) is a frequent change on blood smears, usually develops within 30 minutes, and may be helpful to differentiate a “dry bite” or in those situations where a bite or rattlesnake exposure is not witnessed by the owners. In the field, first aid interventions (placement of a tourniquet, ice) are not recommended, instead, it is imperative that patients be transported to a veterinary facility as soon as possible. Patients need to be assessed for shock and cardiovascular compromise, in addition to intervention for the excruciating pain associated with a rattlesnake bite. Hydromorphone (0.1 mg/kg), morphine (0.5-1mg/kg), or fentanyl (0.003 mg/kg) IV are all good choices, although the duration of action of a fentanyl bolus is limited (15-30 minutes), and should be followed by a constant rate infusion. In patients demonstrating clinical signs of circulatory derangement, starting with a crystalloid bolus of 1⁄4 of the “shock dose” of 90 ml/kg is recommended. Use of glucocorticoids is not recommended and has been associated with increased morbidity in human envenomations. The question of antivenin use is an important decision that needs to be made between the clinician and pet owner. An argument against its use is the fact that the vast majority of dogs will survive Prairie Rattlesnake envenomation with or without antivenin (retrospective studies have placed the mortality rate at <3%). These same studies, however, report a decrease in the length of hospitalization for those pets who are treated with antivenin as compared to those who are not. However, a retrospective study published by two veterinarians at our hospital (Katzenbach & Foy, 2015) found that “both the cost and the duration of hospitalization were significantly greater in the group of dogs that received antivenom. The difference in cost between the groups was approximately the cost of the antivenom vial and administration. 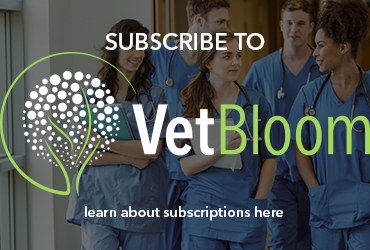 Amongst the parameters evaluated, no significant benefit was associated with antivenom administered to dogs envenomated by C. viridis.” The difference in median duration of hospitalization, while statistically significant, was only four hours. This study, however, did not fully evaluate the clinical effects of antivenin administration. Our clinical impression is that antivenin-treated patients feel better and that the swelling resolves more quickly, and the extended hospitalization frequently required in untreated patients often is equivalent to the cost of the antivenin. Antivenin will also provide significant analgesia and correct coagulopathies by directly neutralizing circulating venom. Fig. 3: One of the antivenins currently available in veterinary medicine. The product used in our hospital is the Boehringer Ingelheim polyvalent ACP antivenin (fig. 3). This product contains whole IgG antibody, and is produced by immunizing horses with two North American rattlesnakes, the Western Diamondback and the Eastern Diamondback, as well as two South American species. The product contains a large amount of extraneous equine proteins, which may increase the incidence of acute and delayed reactions. Several other antivenin products are available but are infrequently used due to higher costs and the low incidence of severe/life-threatening envenomations in our patients. Crofab is a purified solution of the Fab1 antibody fragment of ovine origin. 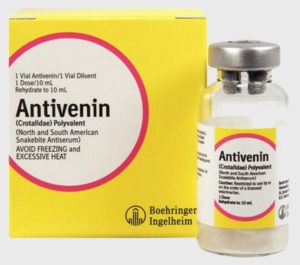 This is the only licensed pit viper antivenin for use in humans in the US. Benefits of this product are a more rapid volume of distribution through the body, and a lower incidence of reactions. A Mexican product (Antivipmyn) is imported and used by some veterinarians in the Southwest, and another product, Polyvet-ICP, is manufactured in Costa Rica. The ACP product is lyophilized and must be reconstituted prior to use. Gentle agitation (such as placement on a blood tube rocker) is helpful to dissolve the product without causing excessive foaming. The antivenin is then typically diluted in 200-250 ml of 0.9% saline, with smaller dilution volumes used in cats and small dogs. The infusion is started slowly, and patients are monitored for evidence of hypersensitivity reactions. The goal is to complete administration within 2-3 hours, but it can be given much faster if needed. Diphenhydramine may be used to treat hypersensitivity reactions if they occur, and the infusion may need to be slowed or discontinued in these cases. Most of our patients are treated with a single vial of ACP, but the dose can be repeated if there is evidence of ongoing coagulation abnormalities. Antibiotic therapy is somewhat controversial in rattlesnake bites. The venom itself has antibiotic properties, rendering infection from bacteria within the snake’s mouth unlikely; however, extensive tissue damage and necrosis that frequently follows envenomation may place a patient at risk for secondary infection. I typically place my patients on cephalexin, 25-30 mg/kg BID. We frequently receive questions about the “rattlesnake vaccine.” Red Rocks Biological produces a vaccine that is reported to immunize against the venom of the Western Diamondback rattlesnake. It is uncertain whether this vaccine imparts cross-protection against Prairie Rattlesnake venom. There have been no challenge studies (for obvious ethical reasons) to compare venom levels in dogs who have or have not been vaccinated. There is also concern that vaccination may impart a false sense of security to owners–rattlesnake envenomation remains an emergency, in vaccinated dogs as well as the unvaccinated. In my clinical experience, I have seen similar severities of envenomation in vaccinated dogs. Our hospital does not recommend administration of this vaccination. Carr A, Schultz J. Prospective evaluation of the incidence of wound infection in rattlesnake envenomation in dogs. J Vet Emerg Crit Care 2015;25(4):546-51. Cates CC, Valore EV, Couto MA, Lawson GW, McCabe JG. Comparison of the protective effect of a commercially available western diamondback rattlesnake toxoid vaccine for dogs against envenomation of mice with western diamondback rattlesnake (Crotalus atrox), northern Pacific rattlesnake (Crotalus oreganus oreganus), and southern Pacific rattlesnake (Crotalus oreganus helleri) venom. Am J Vet Res 2015;76:272-9. Hackett TB, Wingfield WE, Mazzaferro EM, Benedetti JS. Clinical findings associated with prairie rattlesnake bites in dogs: 100 cases (1989-1998). J Am Vet Med Assoc 2002;220:1675-80. Hoggan SR, Carr A, Sausman KA. Mojave toxin-type ascending flaccid paralysis after an envenomation by a Southern Pacific Rattlesnake in a dog. J Vet Emerg Crit Care 2011;21:558-64. Julius TM, Kaelble MK, Leech EB, Boyle KL, Strandberg EJ, Clare MC. Retrospective evaluation of neurotoxic rattlesnake envenomation in dogs and cats: 34 cases (2005-2010). J Vet Emerg Crit Care 2012;22:460-9. Katzenbach JE, Foy DS. Retrospective evaluation of the effect of antivenom administration on hospitalization duration and treatment cost for dogs envenomated by Crotalus viridis: 113 dogs (2004-2012). J Vet Emerg Crit Care 2015;25(5):655-9. Peterson ME, Matz M, Seibold K, Plunkett S, Johnson S, Fitzgerald K. A randomized multicenter trial of Crotalidae polyvalent immune F(ab) antivenom for the treatment of rattlesnake envenomation in dogs. J Vet Emerg Crit Care 2011 Aug;21(4):335-45. Willey JR, Schaer M. Eastern Diamondback Rattlesnake (Crotalus adamanteus) envenomation of dogs: 31 cases (1982-2002). J Am Anim Hosp Assoc 2005;41:22-33. Witsil AJ, Wells RJ, Woods C, et al. 272 cases of rattlesnake envenomation in dogs: Demographics and treatment including safety of F(ab')2 antivenom use in 236 patients. Toxicon 2015;105:19-26. 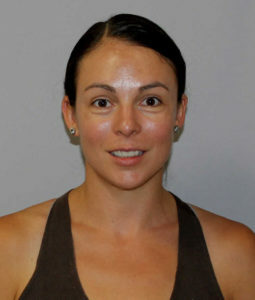 Dr. Tucker-Mohl was raised in New Hampshire and graduated from the University of Pennsylvania in 2007. She completed a rotating internship at Wheat Ridge Animal Hospital in 2008 and was then hired as an Associate Emergency Veterinarian at Wheat Ridge, a position she held for the next 7 years. Dr. Tucker-Mohl had a strong interest in Diagnostic Imaging during her time as an emergency clinician, and is currently pursuing a radiology residency at Kansas State University.